Proudly announcing the launch of our first annual golf tournament, as part of our commitment to bringing you a wealth of networking and development opportunities in 2019! Join us on June 11! 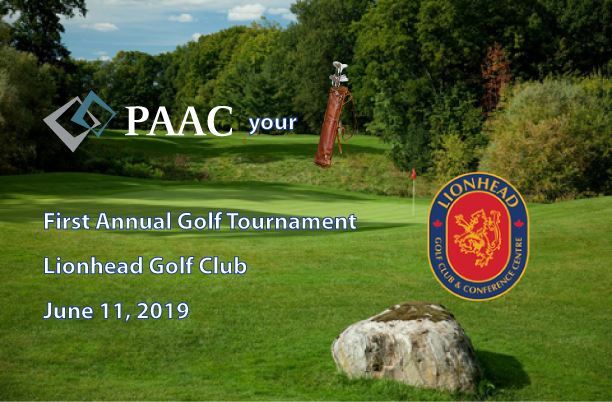 We are inviting PAAC members and non-members to join us at the prestigious Lionhead Golf Club for a full day of healthy competition. Public Affairs professionals will team up with each other for 18 holes and compete for golf supremacy within the public affairs community. Included is a BBQ Buffet and an award ceremony to wrap up the day. If you have never played golf, or are a novice – do not worry! We welcome both avid golfers, and newbies looking to learn the game and practice their swing. There will also be many networking opportunities with likeminded men and women at the tournament. Proceeds from this event will directly contribute to PAAC's mandate and mission to support high achieving students aspiring to join the public affairs profession. If you are interested in partnership and sponsorship opportunities for this event, please contact Alex Greco at alex.greco@cme-mec.ca.